Create dynamic, selfie perfect lashes and brows and have your clients looking and feeling catwalk confident with this latest course from Salon System. Learn professional techniques to create the latest lash and brow trends inspired by fashions’ most fabulous. An essential set of skills for defining and colouring lashes and brows to ensure camera ready, party perfect looks your clients will love. • Building and layering of individual lashes. • Perfect strip lash application. • Brow and lash tinting for defined, lasting looks. • Brow tidy and shape techniques – instant effects to tame, define, and thicken the brows to create the perfect brow. • Creative - colour palette application, maintenance and homecare. All students will receive a workbook via email the morning of the course to reinforce learning. 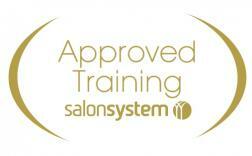 A PATCH TEST MUST BE PERFORMED 48HRS BEFORE ATTENDING THE COURSE - THIS WILL BE SENT TO YOU WHEN YOU BOOK YOUR PLACE.